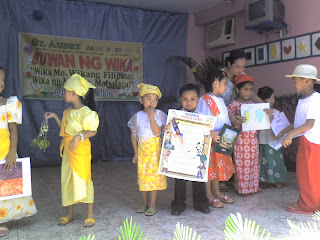 It's the celebration of Linggo ng Wika in Josh school and I have to take a leave off my work to assist him in all their programs and activities. 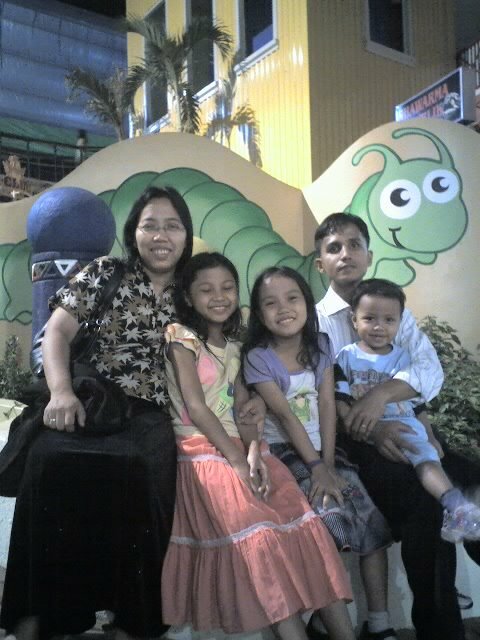 School gave all parents program so all will be aware of the scheduled participation. Josh has some phrases to memorize and his experience in their last graduation's speech helped him a lot to be confident in facing the crowd and delivering his lines correct and clear. 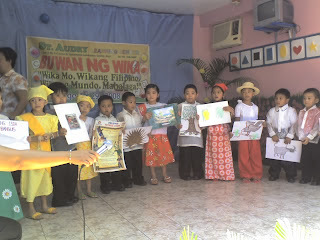 It was a very hot day and we were all exposed to heat but the excitement of seeing their own kids in Filipino costume and dancing Filipino dances was much more overwhelming than the scorching heat. 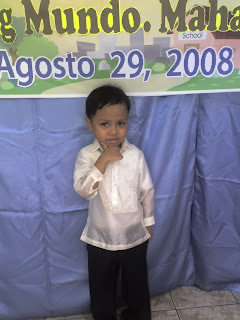 We reached the school with Josh wearing his barong but changed immediately upon learning that his dance 'magtanim ay di biro' will come first. Final part is the group of kids with specific lines for national anthem (delivered by Josh), national animal, flower, plants, fish, national hero and many more. I was looking at all these kids and smiled to myself admiring them for delivering their particular lines clearly, they're really studying their lessons don't you think?